Observation notes: Sunny and pleasant. Unexpected late afternoon visit. Seemed to be taking in the last bits of sunlight. 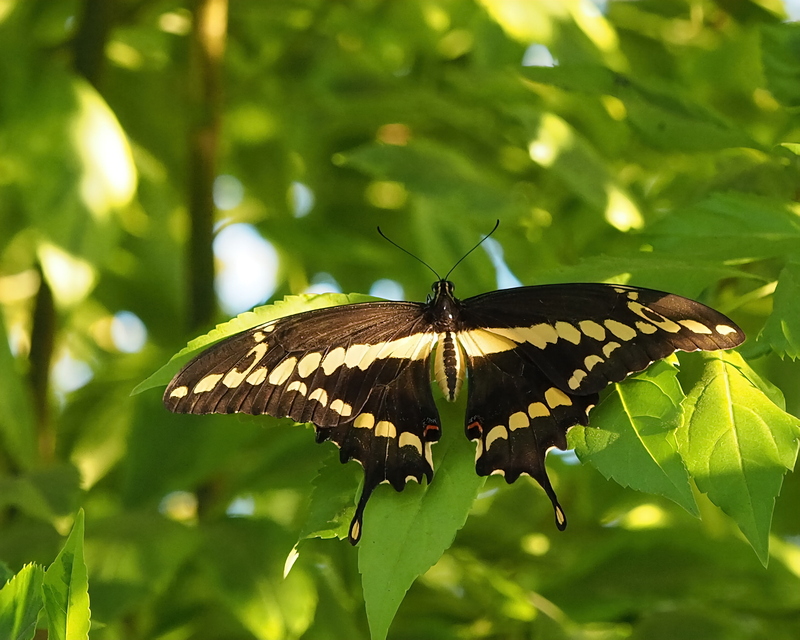 Coordinator notes: Technically, this is a sibling species recently described: Papilio rumiko (Western Giant Swallowtail).